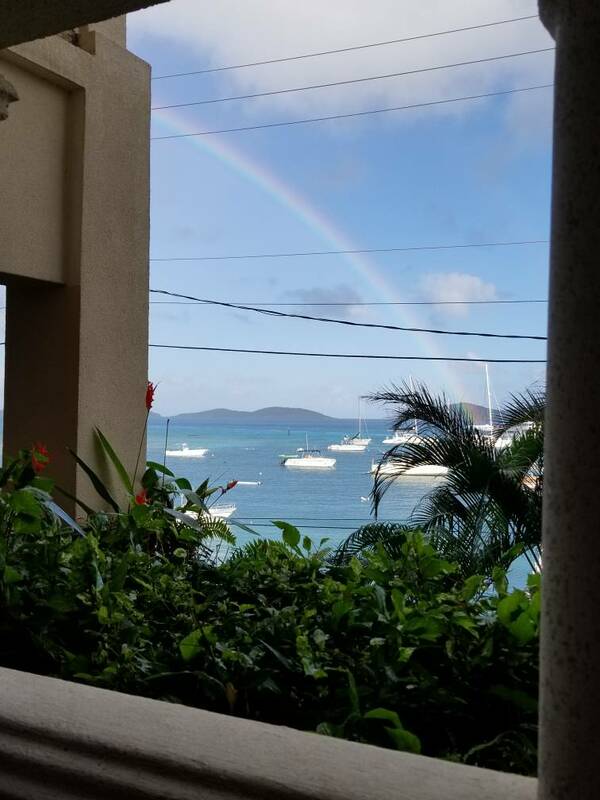 Virgin-Islands-On-Line • View topic - Working on a trip report. Working on a trip report. I'm sitting on the porch of the condo we rented at Grande Bay. 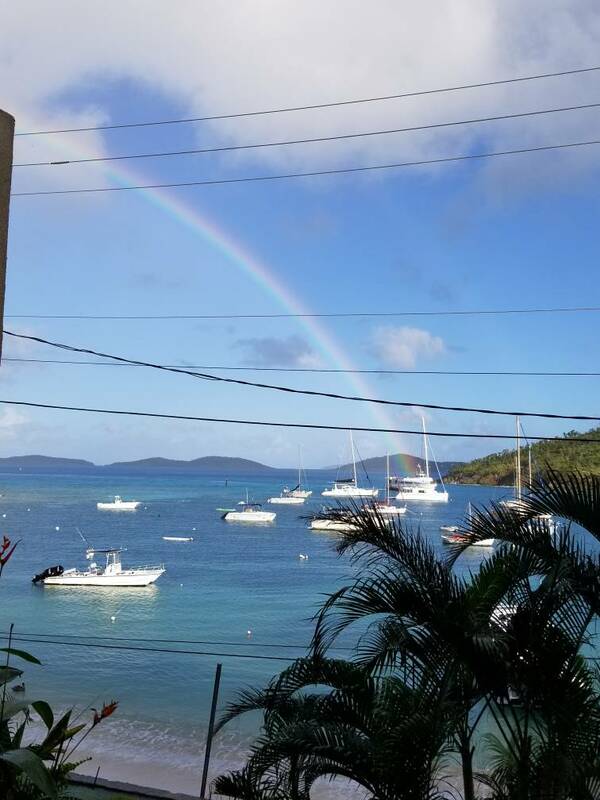 Today is the last; the last morning I will enjoy my kiss of the jumbie coffee from St John spice, the last rainbow I will see over Pillsbury sound. It's been a wonderful trip and I hope to provide an accurate picture of the island in this report. This is the time, the time to visit St John when there are no other cars in the parking lot at Jumbie at 11 am in a Friday. When you can walk into any of the restaurants without a reservation. When you will converse with the residents more often than other tourists, and hear their stories of the storms. The service industry is grateful for your return. The beaches are still stunningly beautiful with Maho showing the most scars. At times we've had Gibney, trunk, Salt Pond and Hansen beaches all to ourselves. We've taken two charters one with Fly Away charters. We had a wonderful day snorkeling with a visit to Pizza Pi VI and upon request a stop at Caneel's main beach on the way back. 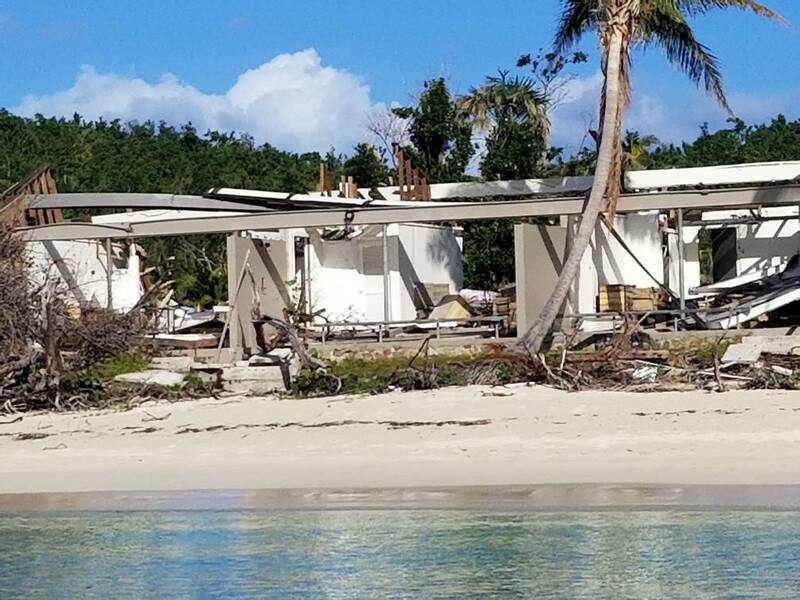 Close up photos capture the shear devastation. No work has been done on the property apparently they're waiting for the outcome of their lease extension. The next day we chartered Busy Bee and I snorkeled with the captain's wife while our son dove. 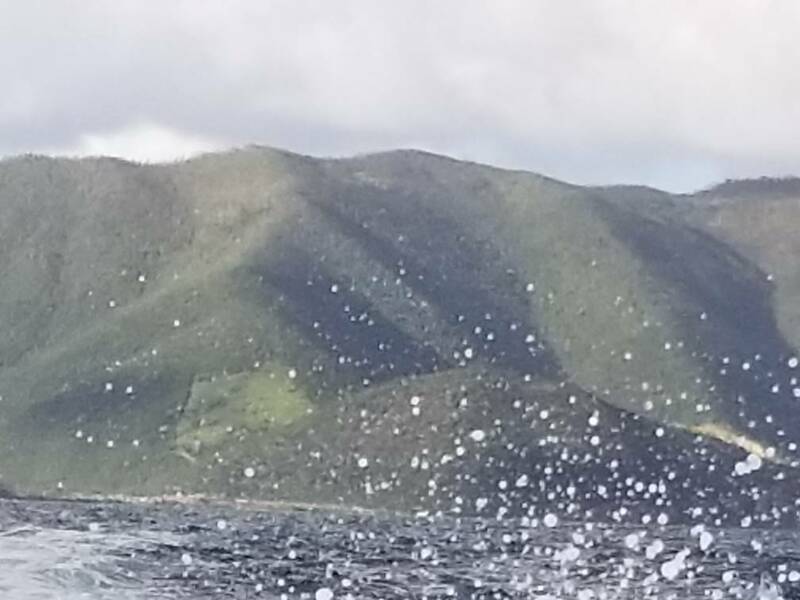 It's hard for me to report on the status of the reefs but what I can say is we had some great snorkeling and some not-so-great snorkeling primarily dependent on the North Shore swell which has been up for part of our visit. Certain days at Maho Hawks nesting give me you couldn't see your feet in two feet of water. Are 20 year old son was with us for 2 weeks of the trip. We call him the octopus Whisperer. He found one every day we were here sometimes more than one except for the day at Hawks Nest where you couldn't see two feet in front of you. Others who snorkeled Hawksnest earlier this week said it was a great snorkel, again really based on what was happening with the North Shore Surf. We snorkled Pelican Rock, the rocks in the middle of Salt Pond, Waterlemon was beautiful as always with huge stoplight parrotfish. The Sandy Beach does not exist as it did before but we hope it will return. There are two visible boats that landed on the trail there and the motor yacht cinnamon Bay is buried somewhere in the Foliage for the end of the beach . The only major player we didn't spot this trip was a spotted eagle ray but a gentleman saw one far left at Salt Pond the day we were there. 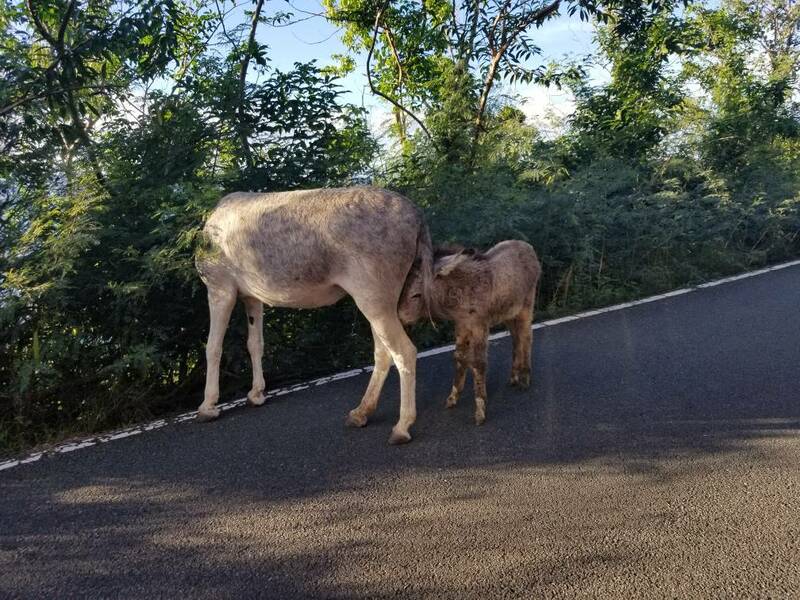 There are donkeys everywhere baby donkeys nursing in the middle of the road so drive with caution. Coral Bay has a debris issue that they're dealing with as currently the Ballfield is serving as a temporary storage place for metal , vegetation waste Etc. 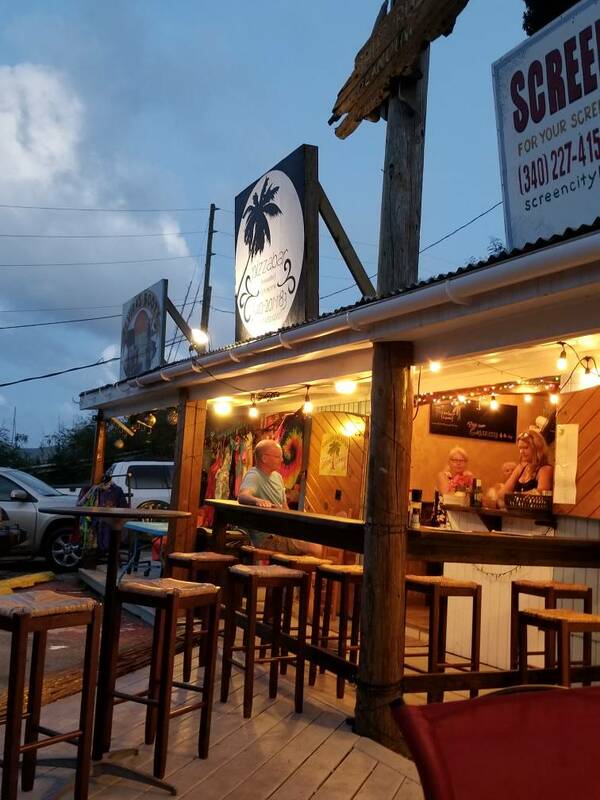 Well we're saddened by the loss of shipwreck Landing we absolutely loved the new Pizzabar bar in Paradise. It may be the best pizza I've ever had. Re: Working on a trip report. Thank you for your note from St. John. I so wish we could join RickG's 2018 roll call but can't - at least at this moment. 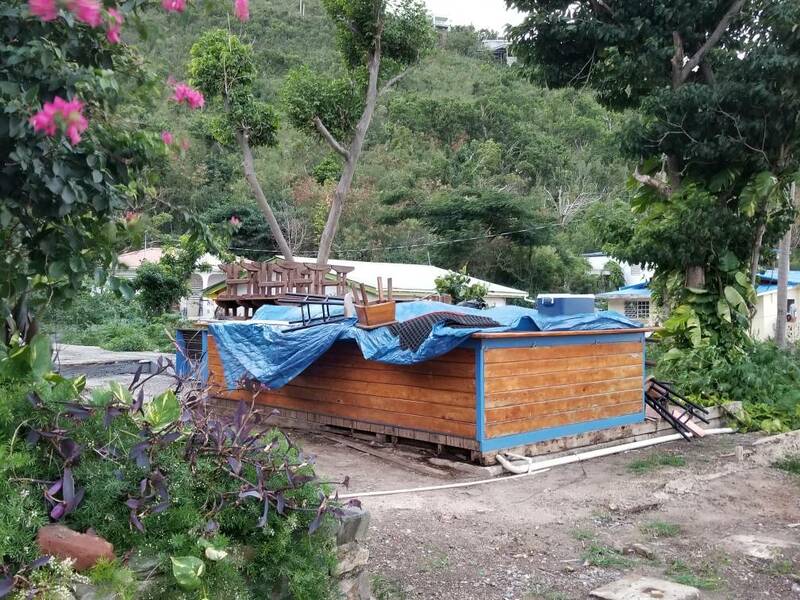 Once we clear some of our upcoming hurdles and things settle down, we will be able to return to St. John. I really hope that happens this year. Our annual trip to the island didn't happen in 2017 and I don't want to repeat that in 2018. I am glad that you have been on island, KatieH. Happy to know that there seem to be plenty of octopuses around and you have an octopus whisperer in your family. Did any of you take underwater photos? Looking forward to your trip report! Pickle, I'm sorry I don't have any underwater photos but will see what my son was able to capture with his GoPro. Please tell me more about your trip with Fly Away. We are looking to do a boat day within USVI waters. I think our son would get a kick out of the pizza boat. Did you visit Water Island? Any beaches on STT? Snorkeling? PA Girl wrote: Please tell me more about your trip with Fly Away. 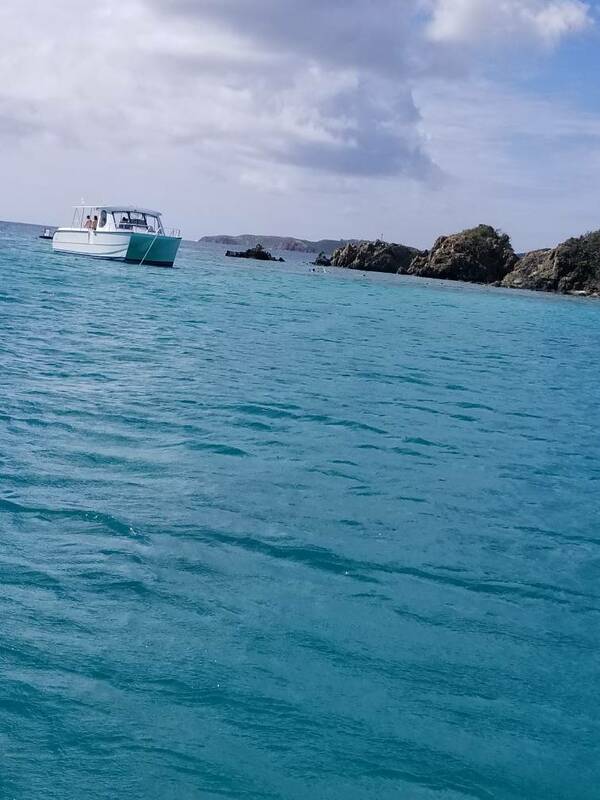 We are looking to do a boat day within USVI waters. I think our son would get a kick out of the pizza boat. Did you visit Water Island? Any beaches on STT? Snorkeling? If your son really likes the water you might want to consider an intro to scuba trip on Busy Bee. My son drove with Bryan a couple of times on this trip. Bryan is the chief at St. John rescue so he's pretty safety-conscious LOL. The cover some basics on land and then do a shallow "dive." Katie, Thanks for your report. It is so nice to here from someone who has been on island and to see some pictures of our favorite vacation spot. I would so love to be able to be on island this year but must wait until 2019. Pictures and trip reports help bridge the gap for the next 13 months. hoosierdaddy wrote: Katie, Thanks for your report. It is so nice to here from someone who has been on island and to see some pictures of our favorite vacation spot. I would so love to be able to be on island this year but must wait until 2019. Pictures and trip reports help bridge the gap for the next 13 months. Thanks I've got a lot more photos and hope to write a report this weekend. Great writeup, thanks for taking the time to feed our obsession. Wow! Thanks for taking the time to keep us updated. Thanks for the TR...I can skip my Blood pressure Meds today! Oh, man, I've missed this page....and St. John! Looking forward to your trip report! It will have to tide me over until we return.